This jaw crusher is able to crush rock / ore up to 8" (205mm) in a very productive manner. 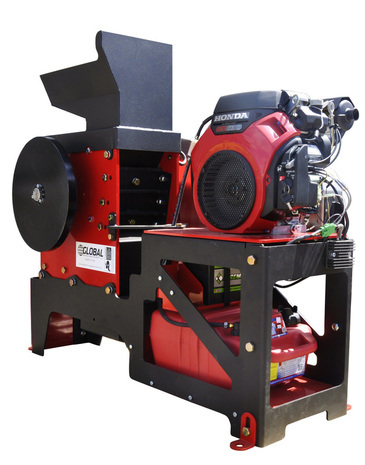 The jaw rock crusher is built tough and priced well. 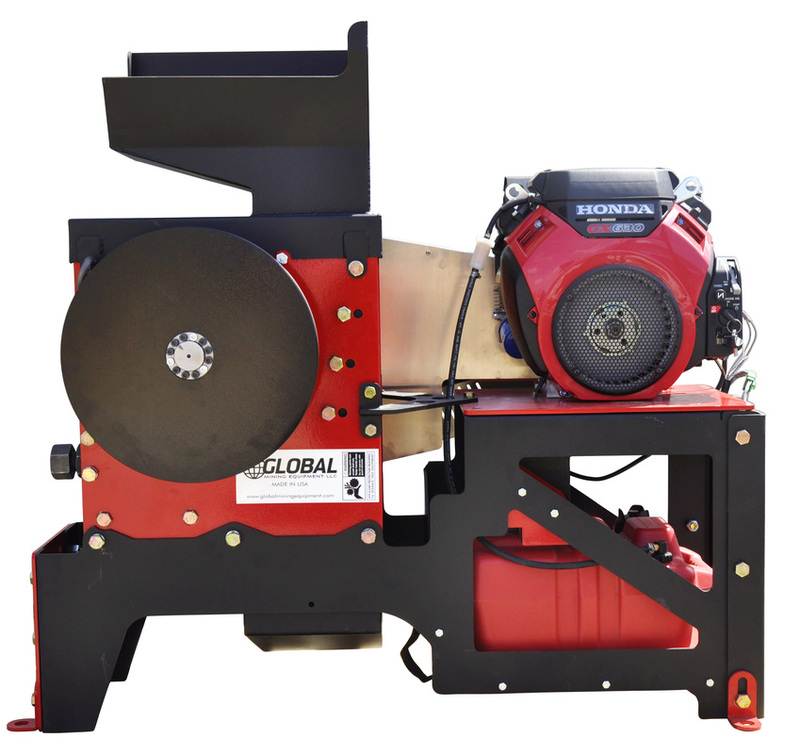 The exciting feature is that you will be able to take this production Jaw Rock Crusher straight from the shipping container and be using it in less than 30 minutes. NO WASTED TIME FINDING THE RIGHT ENGINE, SHEAVES, PULLEYS OR BELTS - JUST OPERATE THE MACHINE. 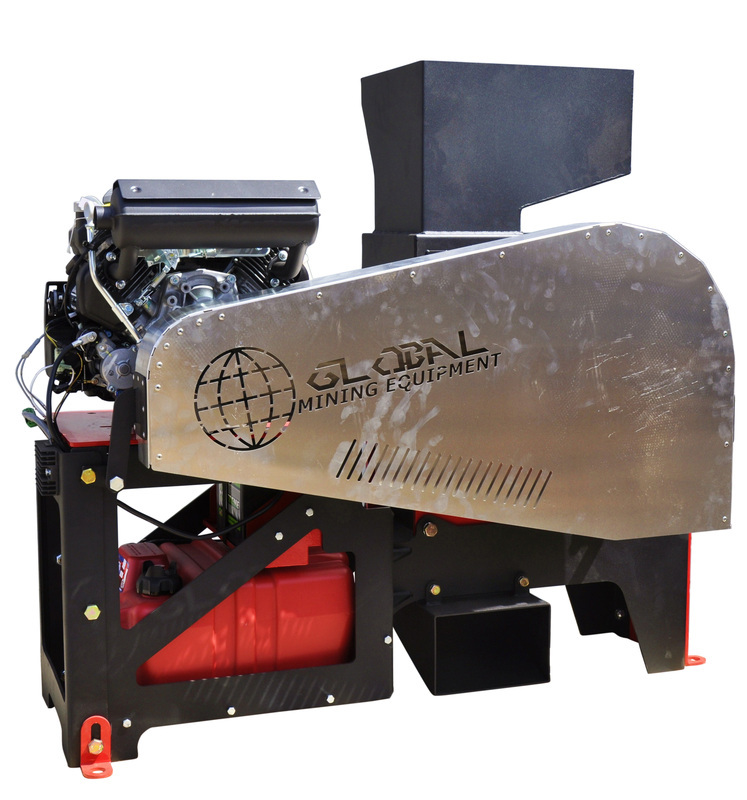 The GME10 Jaw Rock Crusher is an assembled jaw crusher that is ready to use immediately upon receipt. The jaw rock crusher wear plates are 3/4" (19mm) and are made of a hard faced 450 Brinnel Hardness Material. Also available is an upgraded cast manganese / chrome wear plates. Click on an image below to view full size & scroll through all. Click here to see more photos.